• Manage your Contacts: Save unlimited subscribers as for your CRM system and define the Target Groups you want to get in touch. • Sturdy Templates: Customize the available Email templates or just start from scratch your HTML code. 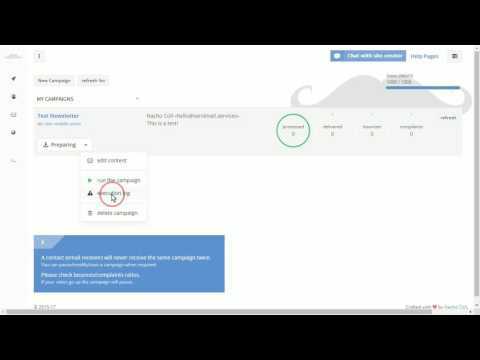 • Easy to Use: Set the email message, select the target group, do some tests and voilà! Your campaign is ready to go. Mustache.Website (sometimes referred to as Free Email Marketing Services) was added by NachoColl in Jul 2017 and the latest update was made in Jul 2017. The list of alternatives was updated Apr 2019 There is a history of all activites on Mustache.Website in our Activity Log. It's possible to update the information on Mustache.Website or report it as discontinued, duplicated or spam. Alternatives to Mustache.Website for Web, Windows, Self-Hosted, iPhone, Mac and more. Filter by license to discover only free or Open Source alternatives. This list contains a total of 25+ apps similar to Mustache.Website. No reviews yet for Mustache.Website, want to be first? Maybe you want to be the first to submit a comment about Mustache.Website? Just click the button up to your right!